LL Niño, or as some call it El Niño, is the big boy rainy brother of La La Niña, commonly referred to as simply La Niña. This is a weather pattern known for it’s intense rain, just like we had this past Spring. We filled up Lake Travis and had the Memorial Day floods in Austin, Part II. Summer came hard and heavy and hot. No rain, well not much, but now, now it just as well may be time. Enter LL Niño, bring it on. Show me what you got! Leaf Removal, if not quoted is $2.50 per bag fully stuffed with leaves or other debris. Please A href=”contact” title=Contact us”>contact us if you have any questions. No really, Just Let Us Know When You Need Another Mow, Contact Us and schedule a time. 2x, yes, 2 time, twice a month scheduled service, for the low low price of $40. 2x, yes, 2 time, twice a month scheduled service, for the low low price of $32 (With Advance Season Payment, all others subject to $36 a month). 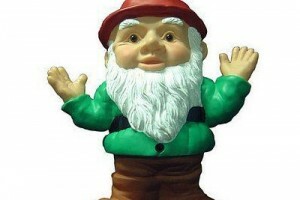 Is your lawn on chemical fertilizer? Then your lawn is chemically dependent. It is time to get your lawn into rehab! It is the season, now is the time to add compost, soils, and organic fertilizer to your lawn, these are our preferred organic fertilizers. We can recommend an expert to come out to your lawn and give you an estimate on what it would take to get your lawn off of these chemicals. Contact Us Now! Beautiful yards are created by providing the best growing conditions based on a solid foundation of inputs such as fertilizers, water, seed and control products, when necessary. Core aeration – which can be performed in the spring or fall – improves your lawn’s health and beauty, optimizes root development and reduces thatch and associated problems. It also deepens your lawn’s root system for greater resistance to disease, insects, drought and heat stress, improves drainage and improves air, fertilizer, water movement. It can also help reduce water usage. Overseeding is often performed in conjunction with core aeration. Typically, the charge is between $45 and $75. Contact us today if you would like for us to perform this service on your lawn. If you have any questions if your service applies, please contact us. BitCoin Payment Option is now available on to customers upon a request and approval basis. We will always try to come perform services as scheduled, but these dates may slide around to accommodate different dates such as, holidays, vacation, weekends (Sundays), rain delays, and long months (so to fit in a bi-monthly schedule). Currently, rain is affecting the Austin area, so this puts schedules off and pushes others back as well. Sometimes this can result in over a week of delay. We apologize for any inconveniences, but we sure do need the rain! I’m Lawn-Mat, that’s right, Lawn-Mat, it’s what my parents named me when just a wee kido. They named me that because I used to push my little plastic mower all of the house, mowing our green shag carpet, I was the man! I really thought that I was mowing. When I got a little older I would rake that shag carpet. Remember those days? When you actually had rakes to rake indoor carpet? Yep, I did it, loved it!! I was a mowing raking fool! When I got old enough, maybe 6, I could start and push my own mower. There I was a mowin’! Barefoot and all. So my parent’s renamed my Lawn-Mat. I go by that, have for years. Legally had it changed. I still love it, mowing and raking. You need your lawn mowed, raked, swept up and blown, I or my guys will do it for you, we really love it! My buddies and I would mow all of the lawns in the neighborhood. Heck it even put me through college. I thought I college degree could help me, but I’m back, back to mowin’ lawns, the thing I love, why did I ever leave you, my trusty lawn mowing machine?!? Never again, I’m back!! You think that it’s hot out there, but we think it feels just right! Call us crazy, but when you love something you love it. So let us mow and maintain your lawn for you, we’ll do it and we’ll do it right! Oh yeah, and we now take safety seriously, we wear shoes and protective devices, heck even safety glasses, but always earbuds in my ears to play some good tunes while I work. No lawn is too big or too small. Although, some may be too far, we specialize in South and Southwest Austin lawncare and maintenance. Small lawns can be done for $25. Average lawns for $35. And most lawns and extras for $45. Thanks for your consideration, just let me mow, it’s all I wanna do!! Let me do it for you! We normally mow high, as yes it is better for grass, especially in these drought conditions, despite a sprinkler system. 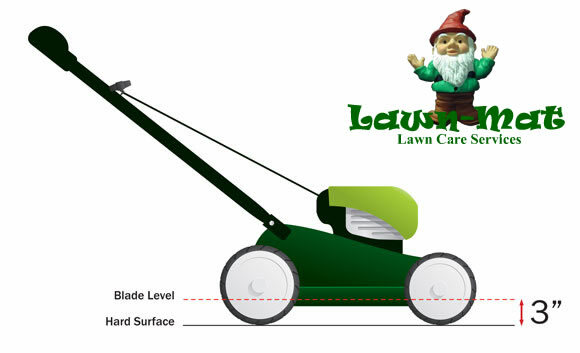 Please contact us if you need your lawn mowed on a higher or lower setting then this standard setting. Ha, nah, it’s all good!! New Season, New Charges May Apply, Due to Rising Costs in Fuel, Labor, and Living, Increases Costs May Apply for the 2013 Season. If you think that these charges may apply to you, please Contact Us. Lawns that require special attention since the end of the regular season and the start of the regular mowing season, either new or existing customer, may be subject to an addition service charge to cover the expense in time to get the yard back in to shape. If you think that you might be charged, please Contact Us. There is no need, weather you own or rent. A mower is expensive and lot’s of maintenance. Heck, you can run one into the ground, but that wouldn’t be nice. Also, what about all of your time, that has to count for something… Let us use our mowers and you can kick back and enjoy a cold one. Lawn-Mat Lawn Care Services is Mowing and Growing in 2013 to better serve you! Might be hiring more employees this year to better handle or growing services and mowings. Sign Up Now for 2013 Scheduled Service and Save, Contact Us to schedule and save. For Bi-Monthly Service, we will come 2 times every month. Dates may slide around to accommodate different dates such as, holidays, vacation, weekends (Sundays), rain delays, and long months (so to fit in a bi-monthly schedule). 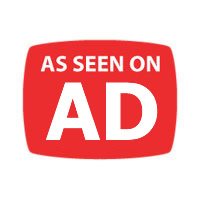 2x, yes, 2 time, twice a month service, for the low low price of $50. Here at Lawn-Mat Lawncare Services we have never had to charge any sort of trip charge for time or fuel for reasonable distances. However, with the looming $5 a gallon gas again, it is a must. The high cost of fuel is cutting deep into our livelihood, as gasoline is at the core of our expenses, gasoline to power the mower, gasoline/oil mixture to power both the line trimmer and blower. And gasoline to power our vehicles to get us to the site. A minimal charge may be charged when any lawn is considered outside of our normal South Austin territory or in excess of 10 miles. Charges are subject to change or may not even apply. If you think that you might be charged for trip/fuel, please Contact Us. 2x, yes, 2 time, twice a month service, for the low low price of $64 – $78. Unless an accident, not harming bluebonnets, since 1975! We are turning lots of grass into hay right now, contact us now, if we can help turn your grass into hay. The most important thing you can do for your lawn is to feed it. A well-fed lawn is healthier, which means it has a better root system to combat heat, cold, drought, mowing, foot traffic and other stresses. While feeding your lawn once a year will improve its condition, feeding it four times a year will make it even healthier. If you put your lawn on the regular feeding schedule outlined below, it will look lush and green, and your neighbors will turn green with envy. Lawns wake up hungry in the spring. Feeding your lawn in the spring strengthens roots and gets it off to a good start before the heavy growing season. If you had crabgrass last year, apply a combination fertilizer with a pre-emergent to control it. Spring is lunch time for lawns. Your grass is busy and using up stored energy. That’s why you want to supply the lawn with a feeding designed for this time of year. Unfortunately, broadleaf weeds are actively growing, too. Hit them and feed your lawn with a combination of fertilizer with broadleaf weed control (a “weed-n-feed”). Summer is tough on grass. Heat, drought, foot traffic, and insects stress it out. Feeding your lawn in the summer protects and strengthens it against these problems. Lawns in warm-season grass areas should be fed over the summer months as they grow steadily from spring to fall. If you see insects in your grass, use a feeding product that also contains insect control, such as Scotts® Turf Builder® with SummerGuard®. We pruned the hedges of many small villages. Lawn-Mat Lawn Care Services Fully green low emission lawn care specialist. Always mulching and returning those essential nutrients back into your lawn. Watering, it is both easier and less expensive than weed-eating and mowing your lawn every 10 days to keep up with the enormous amount of growth. So many beautiful St. Augustine lawns in Austin died last year due to not getting enough water. But now they require much more mowing than a traditional grass lawn would be needed. Hence, it is both easier and cheaper to water existing lawns, than to lose them to weeds. Due to the drought, die off of established lawns, heaving winter rains, and new weed growth replacing lawns. If weed pulling is needed, then Weed Pulling Charges May Apply. Contact Us to schedule an appointment. Spring Break is here! SXSW 2012 is upon us. Get those lawns moved for your out of town guests. Contact Us to get it done for you. Enjoy your SXSW Experience!! See some great music and film! Heard the expression “Growing Like A Weed”? Well, there ain’t enough rocks to put on your head. Will have to trim the lawns on overtime right now, as most are well past overdue. apartments, duplexes, property management, property managers. We can take care of any job big or small, just Contact Us. Due to the extreme recent demand for lawn maintenance in Austin, we are now only accepting customers who plan on setting up an account for regularly scheduled maintenance. the following plans are offered, 10 day, 15 day, and 30 day mowing cycle. Still No contracts, this is just setting up a payment plan on an agreement and hand-shake. For lawns with the majority of grass that over the ankles charge, plan on paying more to accommodate the height. For lawns with grass that is higher, up to the knee or higher, these will be considered lot clearing for an additional $20-$50 fee. Sometimes this is the best way to go for you, as Top Gunn Rentals is one of the only places in Austin that rents residential lawn mowers. They charge $30 (plus tax) by the day. And they are mostly always rented. If you would like to rent equipment from us, please Contact Us. Here at Lawn-Mat Lawn Care Services we are dedicated to earning your long-term business. If you would like to reduce the total cost of your lawn and help us perform the work, then that will be duly noted and considered. Many times, we will gladly accept this offer of a helping hand and with a little help from my friends we can spend time working together as a team to accomplish the goal of getting your lawn into shape, with a discount to your for your sweat equity. Contact us today if this sounds like something that you would like to do. As Seen On Craigslist – Austin! Extra Extra – Edger Edging Extra, $5 for edging with a edger. Edging with a line trimmer is always included in the price. Gas Power Edging Available Upon Request for an additional $5 fee on average. Keep Austin Weird, we all know that. Keep It Real, for sure! But now, Keep Austin Mowed!! Can’t wait for City of Austin Bulk Collection, Contact Us. Free Bulk Metal Recycling Haul Away Program is provided to our customers. If you have metal that you would like for me to take away just tell me when I am there or I can pick it up at our next scheduled mowing. Or Contact Us and we can make a special trip. 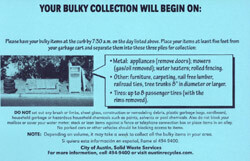 Aw, shucks, just missed the bi-annual City of Austin Bulk Collection, Contact Us. If the job is too large or you need scheduled or regular pick up, then contact Smiley’s Recycling & Resale and on Facebook, is they are the nicest folks over there. Typically pick up on the same day, and sometimes free or a $30 pickup fee. Despite the drought of last Summer and possible drought of 2012, although we have had some great Winter rains. Your lawn may have looked dead last year, brown, dried up turned to dust, blown away hay stray. But now you go out side and it is a forest of green. Yah, you have a lawn again, it’s green! This may not necessarily mean that you have grass or not, but either way it will still need to be mowed. If your rebounded lawn is mostly weeds or not, Weeds Need Eating, too! We can come out and weed-eat with a line trimmer, but mostly just mow as these weeds will need to be mowed as a previous lawn would need to be mowed, maybe even sooner as they may grow faster than traditional yard type of grass. Please contact us today to schedule and appointment. Get on a schedule for regular serviced lawn mowings and yard maintenance for Less Than The Price of A Pizza. Less than a round of drinks downtown. Heck, most lawns done for the price of tank of gas or less. Contact Us Now.